Bobby Neville Graham, son of Herschel Franklin 'Frank' Graham and Elsie Allene Collins, married to Gloria Jean Hartline and buried in Graham Family Cemetery, Tuscola, Taylor County, Texas. 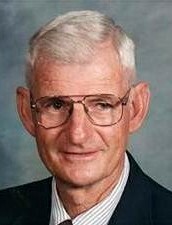 Bobby N. Graham, 70, entered into heaven on Saturday, August 15, 2009, in an Abilene hospital. Services will be 10:00 a.m. today, August 17, 2009, at First Baptist Church, Buffalo Gap, with the Reverends T. C. Melton and Steve Joiner officiating. Burial will be at Cedar Gap in a private cemetery, directed by Fry-Bartlett Funeral Home in Tuscola. Bobby was born September 25, 1938, in Cedar Gap to Frank H. and Elsie A. Collins Graham. He married Gloria J. Hartline March 21, 1964, in Trent. He lived in Cedar Gap for the last 26 years, where his father and mother had farmed. He worked for Timex over 29 years, WalMart for a few years, and for the City of Abilene 21 years and 10 months before retiring February 28, 2006. He was a member of First Baptist Church in Buffalo Gap and active in the South Taylor County Lions Club. He served in the U. S. Army in Germany at the Berlin Wall and during the Cuban Missile Crisis. Survivors include his special friend and former wife, Gloria Graham of Abilene; two daughters, Connie Stone and her husband Billy Stone and Lonnie Powell and her husband David Powell, all of Abilene; one son, Randy Graham and his wife Charla Graham of Haslet; his grandchildren, Toby and Lacy Stone, Kara Galinak, Amanda Partin, Darci Weaver, Clint Powell and Nicki Powell, Kenzek and Rani Graham; his great-grandchildren, Bailie, Katelynn, Matthew, J. T., Aili and Halle; and several other relatives. Pallbearers will be Russell Bartlett, Don Bingham, Randy Graham, Ron Harden, L. G. Smith and Toby Stone. Honarary pallbearer will be Lacy Stone, a granddaughter. In lieu of flowers, please contribute to your favorite charity, or First Baptist Church, P. O. Box 459, Buffalo Gap, TX 79508, or South Taylor County Lions Club, P. O. Box 493, Tuscola, TX 79562.